It is a popular dish of Mumbai. 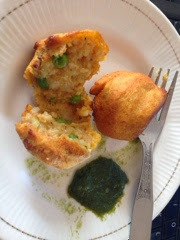 Part of Vada pao. In U.P. It is called Aloo Bonda. It is a pakora filled with mashed potato. Served with chilly, coriander and mint chutney.